​Southampton manager Ralph Hasenhuttl branded Liverpool's equaliser 'a pity' as his side fell to ​a 3-1 defeat at St. Mary's. The Saints' bright start was rewarded with Shane Long's goal on nine minutes, but the hosts went into half-time level as Naby Keita headed home his first ever goal for Liverpool. Second-half strikes from Mohamed Salah and Jordan Henderson meant Hasenhuttl's side suffered their sixth home league defeat of the season. The Austrian however was disappointed with ​Liverpool's route back into the game, claiming Salah was offside in the build-up to a goal that helped changed the course of the game. Speaking to the ​club's official website after the game, he said: "After the 1-0 so early, it’s a very long way to go until the end and it was clear that it was not easy to take a point against this team. "The first goal was offside, which is a pity as otherwise maybe you can into the break 1-0 up. We had a big chance for a second goal and I think against such a team you must score this goal. "Then it’s a long way back for Liverpool and you have a chance to take something but finally, yeah, the second goal we gave away too easily. They didn’t have so many chances in the second-half, it was not so much the fact they were having chance after chance. "They were dominating us for sure and we were defending very deep but that was the plan and I think we did it. But finally, we didn’t get any points which is frustrating." The defeat sees ​Southampton remain in 16th place in the ​Premier League, five points above Cardiff in 18th, who occupy the final place in the relegation zone with Huddersfield and Fulham's drop into next season's Championship already confirmed. 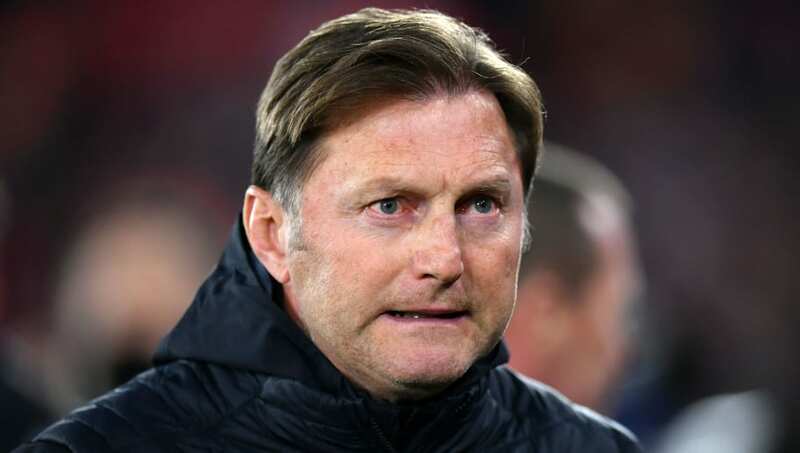 Despite the loss, Hasenhuttl was pleased with how his side started the game against a team chasing the Premier League title in Liverpool, with their intensity causing the Reds a number of problems early on. He added: "I think it was important they believed in what they’re doing. They showed we had a very good game plan and the guys found very good game management, a good balance of finding the decisions to play or not take a risk. "They had nearly no chance to win balls early against us. It was a good start but it was not enough."